As we age, the skin’s natural processes of cell renewal begin to slow and skin loses elasticity. Add in the changing seasons and harsh weather and artificial heating sources and the winter months can be a challenging time for our skin. As a Dr.Hauschka Esthetician I am here to offer the most effective skin care treatments and product support to encourage the natural functions of your skin. 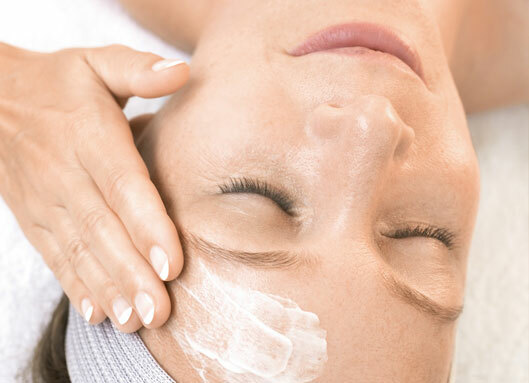 Regular treatments keep your skin protected, balance moisture content, keep skin feeling smooth, soft, supple and firm. Join us this winter for your Dr.Hauschka Treatment – a perfect remedy for building the immune system and encouraging lymphatic flow to keep your skin as healthy as possible. NOV-DEC Gift Certificate Special: Buy a GC for the Dr.Hauschka 2hr. Classic Treatment and get it at a discounted rate! Buy as many as you would like for yourself or for a special gift for friends and family.